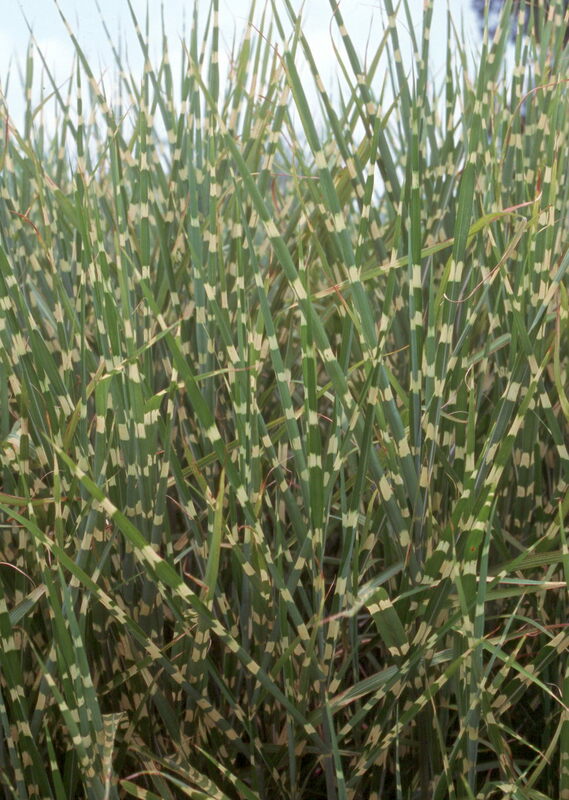 Comments: Miscanthus sinensis 'Zebrinus' is a clump-forming grass noted for its horizontally gold banded foliage. Has tiny pink flowers in fall followed by silvery seed plumes in late fall and winter. Prefers moist soils and can grow for a short time in shallow water.